A very successful night for our Ronnie aka John! 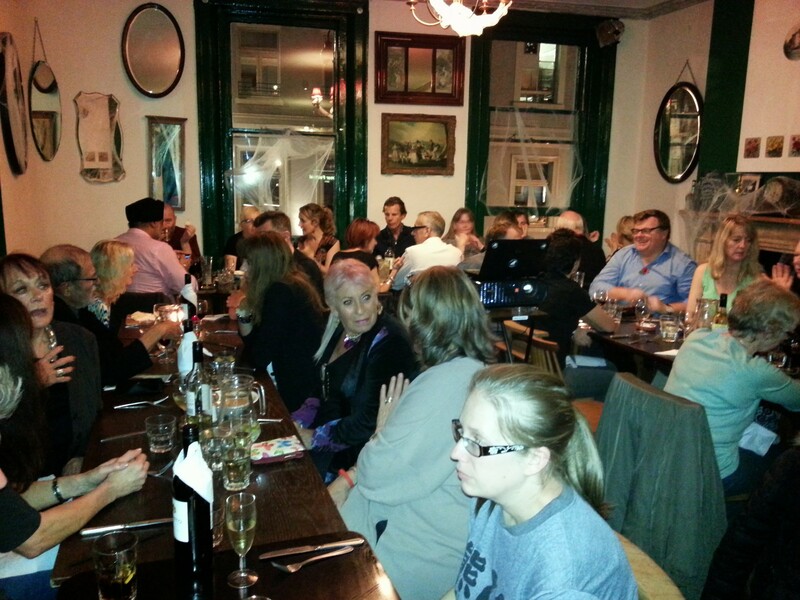 We held our second Octobear Festival at the Coach and Horses in Soho tonight and what a wonderful night it was! A huge success again and a full house. Thanks to the kind generosity of the landlord, Alastair Choat and his daughter Hollie 100% of the night’s takings are going to the bears again and we have reached our target for Ronnie aka John, our bear in Nanning! The night raised over £1,000. Amanda gave a very interesting talk about working with the rescued bears at Animals Asia‘s sanctuaries and also gave us an update on the bears at the now defunct bear farm in Nanning, where the bears are being cared for by Animals Asia until they can move into their new permanent home. Their lives are already a million times better than they were with healthy food, a constant supply of drinking water and lots of showers, and of course their paddling pools. 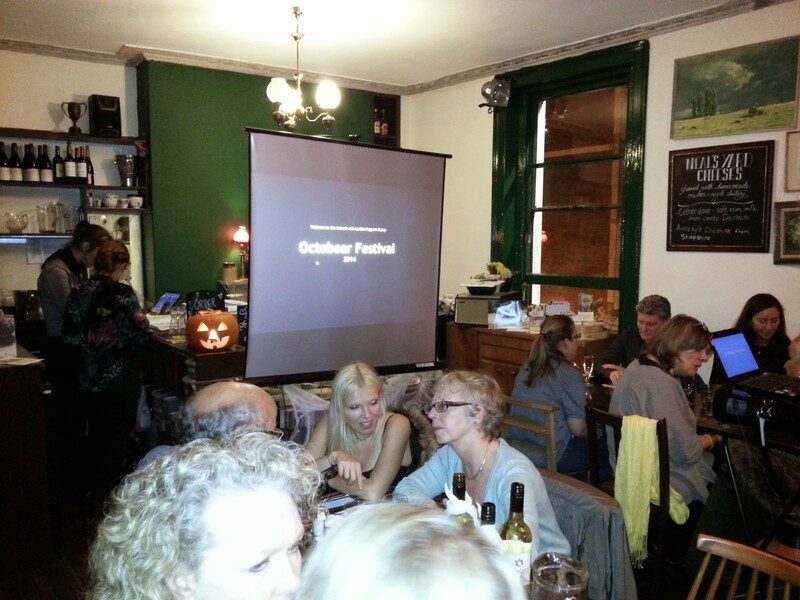 Our fist Octobear Festival last night at Norman’s Coach and Horses was a great success. We raised about £1200 for our Nanning Bear Fund and everyone had a great time as well. The delicious 3 course vegan or vegetarian meal and wine, as well as the room hire, were provided free of charge by the very generous owner of the pub Alastair Choat, and the team who looked after us all night was just amazing and made the whole evening run very smoothly. Amanda’s presentation about her work as a bear manager in Chengdu and her visit to Nanning was fabulous and gave everyone a great insight into the work on the ground at the sanctuaries. 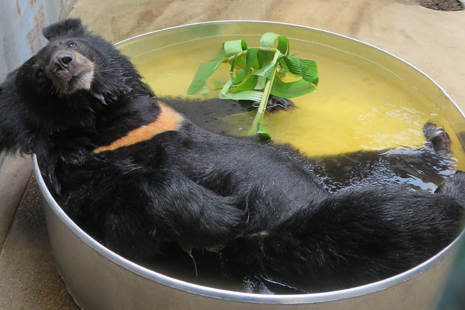 It also showed us how all those kind and generous donations help the bears and how the lives of the Nanning bears have already improved massively despite them still living in their farm cages. They now have constant access to water, nutritious food and medical care and the enrichment they need to keep their intelligent minds active. Last but definitely not least, a big thank you to everyone who donated prizes for our raffle, which raised about £300 of the total. If you ever find yourself in Soho please make sure to stop at Norman’s Coach and Horses. The food is delicious, all vegetarian or vegan, and the atmosphere great. It’s still a proper pub which hasn’t been modernised and doesn’t have a TV screen in the bar so people actually talk to each other.